I am not early, when it comes to music. This is weird, both because I am perpetually early when it comes to arriving places, and also I write about music and photograph musicians, and aren't music bloggers always on the cutting edge? Most of them are. I am not. I have ruts. I have favorite artists. My ruts and my favorite artists are fine, thank you. So what this means is that by the time I came to the Head and the Heart and their excellent self-titled debut a few years ago, they were already big enough to play the Lincoln Theatre in Raleigh, one of the larger club rooms in the Triangle. In contrast: it took the National four albums to be big enough to play the Lincoln. The Head and the Heart did it with one. A band like THATH, whose first album exploded in such an organic way, has a lot of weight on their shoulders in producing a second one, and while I don't think there's a song on Let's Be Still that's as tailor made for enormous echoing sing-alongs as "Rivers and Roads", I think it's a solid second effort for a band that often seemed surprised by their success. The weight of that can be too heavy for some bands, and end in albums that don't do justice to the musicians behind them, but Let's Be Still is not one of those. It is an album that sounds and says it's tired, and it's unsure, but I think that the uncertainty of it, and the way it never quite coheses into an album as opposed to a collection of songs, are in its favor. We start off with "Homecoming Heroes", which booms with the bigger, more electric sounds of this record, one of the many things that separates this album from the self-titled. It starts with a deceptively simple piano and fiddle line, before the harmonized vocals come in with an equally simple sound: so now i know, people want a story, one ending with glory. The first verse is melancholy and lonely, and then the chorus explodes with a rattle of tambourines before galloping into the same piano and fiddle melody, which somehow seems to expand every time it pulls to the front. A song about soldiers returning from war, it pounds with the same kind of worldly empathy that the self-titled album was filled with. One of the highlights of Let's Be Still is the pair of "Summertime" and "Springtime", when Charity Rose Thielen's stunning voice -- if you've seen the band live, you know how she can tear it down -- is allowed to lead rather than harmonize. I'm not certain that the synthesizers on those songs serve the delivery of the songs the best they could, but the sound is second to Thielen's vocals, which the band does well to bring a little more to the front on this album, including a powerful moment in first single "Shake", where her voice chimes in on the last repetitions of the chorus to drive home the heart of that song. "Shake" remains the strongest song on the record, with its insistent chorus of more and more layered vocals: even if it was a mistake, you won't forget the man who's making you shake. It's a shimmering and driving song with the sort of sharp lyrics that charaterize THATH's songwriting, and the energy that impressed crowds and listeners on the self-titled album explodes from it. Title track "Let's Be Still" and "10,000 Weight In Gold" both take on song subjects that I am deeply fond of, and do it well; the life of a musician on the road is tough, and for a band like THATH whose rise was pretty steep and fast, it could certainly have been disorienting, resulting in the plaintive chorus just for a moment, let's be still. The life of any artist is not an easy one, and sometimes those moments are hard to find on the road. 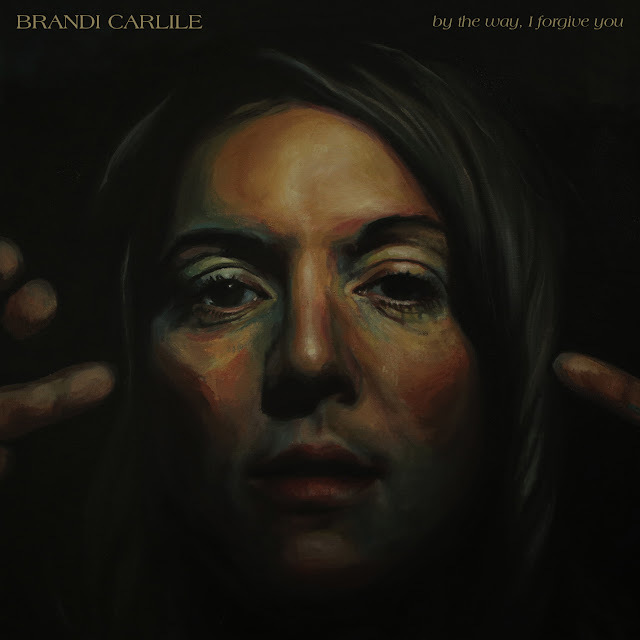 "Let's Be Still" uses a resonant piano line to mimic the loneliness that's all over the lyrics, and it slows down a record that has, to point, hurtled along (in a good way) towards something undefined. "10,000 Weight In Gold" is a song about what we leave behind -- the people we love -- for a life doing what we love. A heartbreaking ode to time passing that climbs slowly and steadily to its crashing conclusion, "10,000 Weight" is the largest, loudest song on the record, and maybe the saddest. Its crashing drums and piano abruptly stop at the 4 minute mark and the song shivers through its ending ohh-ohhhs like a lonesome ghost. "Fire / Fear" sounds most like the self-titled album, with the vocal delivery patterns that almost exactly match the delivery of I've given up my Bible, you've moved out of state. It isn't the same emotional mood as "Coeur D'Alene", perhaps the exact opposite, in fact -- but the similarity in sound made it stick out for me, a call back to that last record with a song that showcases the themes of weariness, and loneliness, that run in strong lines through Let's Be Still. THATH are talented musicians, and their drawing from a broader range of styles sometimes works here, and sometimes falters. Isn't that how we all change and move forward? Sometimes we make mistakes, and sometimes we need to be still. 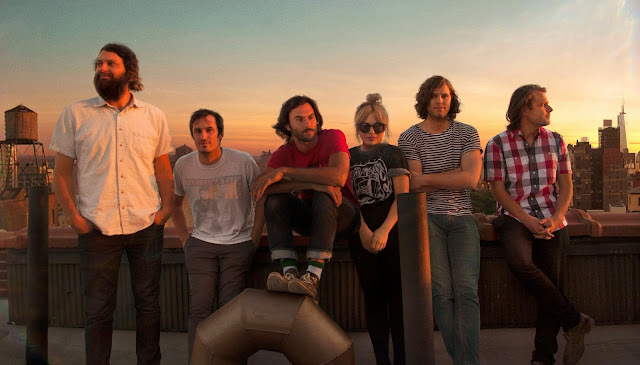 The Head and the Heart are currently touring with Thao & the Get Down Stay Down; they play St. Louis at the Pageant on 10/22 and Raleigh at the Ritz on 11/10. I'm looking forward to the live show, which I think will showcase some of these songs as energy-building foot-stompers in a way that they aren't on the album. You should be, too.